Hello and welcome to week 8 of Three Good Things! Can’t quite believe I’ve been doing this series of posts for two months already. It’s a very enjoyable process though, and is definitely helping me to appreciate all the little things in my life that add up to happiness. However, Three Good Things is about the little things in life, and so here’s this weeks edition. First in my list this week is Letter Twenty, a new blog about tea that I’m writing in collaboration with the wonderful Dave Graham. I’m starting a weekly recipe post there after this week, so please do go and have a read. Now that I’ve worked out how to incorporate this into my weekly schedule, it’s feeling like a very optimistic addition to my world and I have great hopes for it. After all, tea is one of my life-long good things! Tea. Vital to my existence and now a new blog! Two: ‘About Time’ at the Tyneside Cinema. I’ve been going to the cinema a lot more recently ( thanks to my film-loving boyfriend), in particular to the lovely Tyneside Cinema in Newcastle, which, in a very civilised fashion, serves beer as well as popcorn in rather more stylish surroundings than the local multiplex. This week I saw the new Richard Curtis film ‘About Time’ and I loved it. Yes, the sci-fi is wonky and won’t stand up to any real scrutiny, but then science fiction always seems able to explain away any questions you ask of it anyway, and in this case it really doesn’t matter. What you’re looking for with a Richard Curtis film is rather posh, upper-middle-class people in a bit of a relationship tangle, some laughter and a few bitter-sweet or weepy moments. And with this film you get that in spades. Not to mention the most beautiful sprawling coastal country home I think I’ve ever seen. The characters are well created and empathetic and the central father-son relationship is very well done. I really enjoyed it, so it’s definitely a good thing for this week. You can see the trailer on YouTube here, but be warned, it seems to contain most of the film! Three: Being the Tooth Fairy. Being the Tooth Fairy for my sister was always one of my favourite things. I would write her letters about how the fairies made the teeth into fairy dust, and tell her all about my adventures travelling around the country to visit her cousins and friends who had also lost teeth. She was always so chuffed, and I think she was more upset about the Tooth Fairy than about Father Christmas, when the time came! If you enjoy admiring houses in films have you seen Much Ado About Nothing? It was filmed in Joss Whedon’s house, and is beautiful! I haven’t seen that yet, but heard really good things about it – and I LOVE Joss Whedon. It’s firmly on my list now, thanks for the recommendation! My boy started school last week. It’s a bittersweet moment indeed. Love your third reason – the tooth fairy rocks (especially when she sprinkles fairy dust!). What an ace idea. 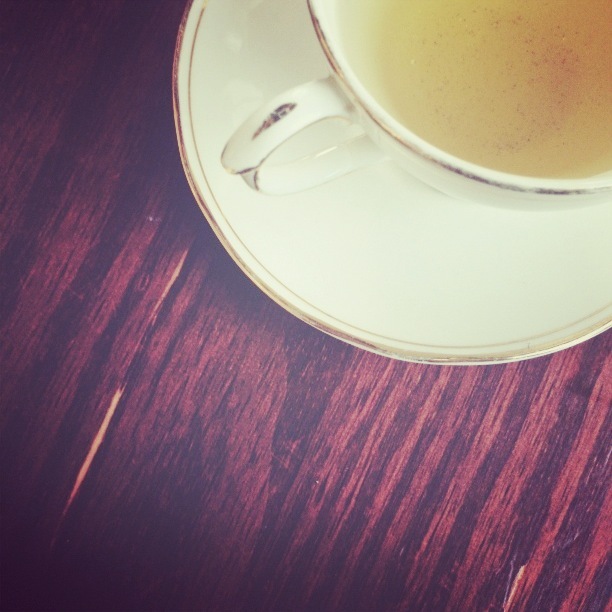 Oooo a tea blog! *runs off to look* and now I have glitter in mind for the next tooth that falls out!